I spend Saturday afternoon exploring LEA 9 as it hosts a Bryn Oh Retrospective. Bryn Oh is one Secondlife’s well-known artist, and I have followed her work since I discovered her and the SecondLife art scene in 2009. I love Bryn Oh, her poems, her stories and her work in SL. 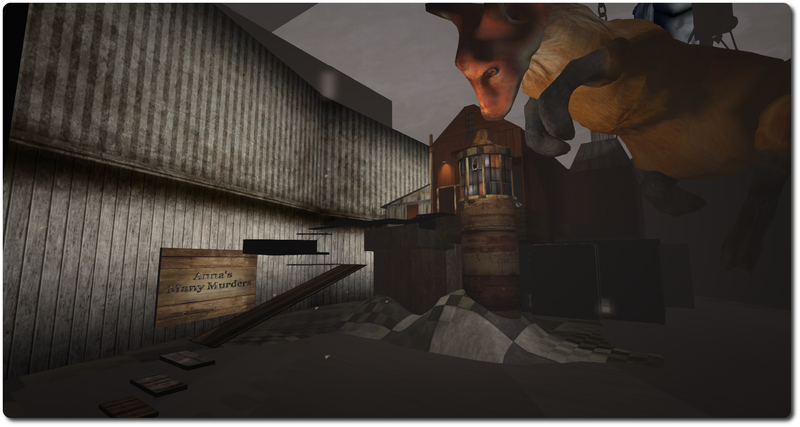 SL being what it is – virtual and constantly evolving – Bryn Oh often makes machinima of her installation. Her machinima work has been – and still is – a great inspiration to me. Her tone and her mood always gets me completely. So I recommend that you go to LEA9 and spend an afternoon there. It is amazing and so much fun to see her work, read her stories and see her machinima. Bryn Oh is perhaps one of Second Life’s most respected and well-known artists. Her work spans the last seven years of SL’s history, and her installations have been visited by many in that time, whilst also making frequent appearances in the Destination Guide. Over the years, her pieces have grown from static sculptures to region-wide art-focused experiences, rich in narrative and elements of gameplay. It also spans the virtual and physical divide, having appeared at exhibitions, shows and festivals around the globe, marking her as an internationally regarded digital artist – in every sense of the word “digital”.